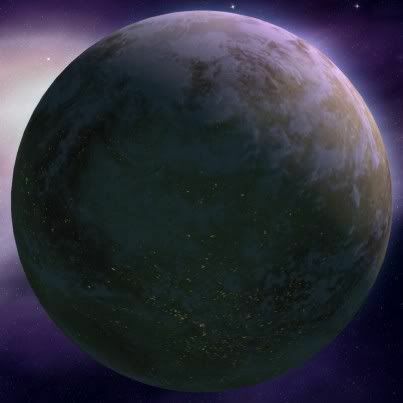 Bonadan was the main port world for the Corporate Sector with a total of 10 gigantic spaceports. The plant and previously been strip-mined leaving the surface barren and with the pollution it wasn’t much better. Their solution to the pollution was a weather control station in the mountains that would create sweeper storms to clean the air. After the strip-mining there wasn’t much left on the barren land other than factories, refineries, docks, and ship building facilities.